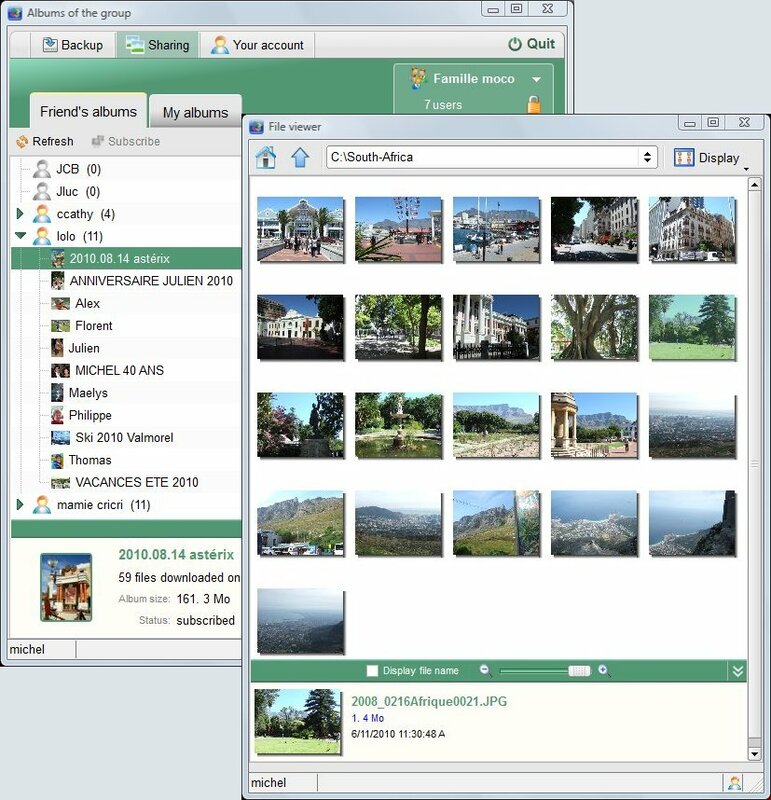 TudZu is a useful application to backup and exchange your multimedia files with your friends and family on a private network. Create your own group or be invited in a group, create albums to share your files, or subscribe to allowed albums, select files you want to protect in the groups and your files will be backed up automatically on the groups cloud storage. If you are the administrator of the group, you can banish your guests at any time. All groups are private and separate, you can belong to multiple groups at the same time, share different contents and apply authorization for each user. On your network, you'll be exchanging files in a peer2peer connection (directly from a computer to another). Exchanged files are encrypted during the transfer and your backed up file are encrypted on the remote storage place. No data is sent to our server during or after the transfer. This architecture ensures a complete privacy and leaves the entirely responsability of the content being exchanged to you. You can backup or exchange as many files as you wish, regardless of their size. Broken transfers automatically resume with no data loss. Qweas is providing links to TudZu 1.2.0 as a courtesy, and makes no representations regarding TudZu or any other applications or any information related thereto. Any questions, complaints or claims regarding this application TudZu 1.2.0 must be directed to the appropriate software vendor. You may click the publisher link of TudZu on the top of this page to get more details about the vendor.